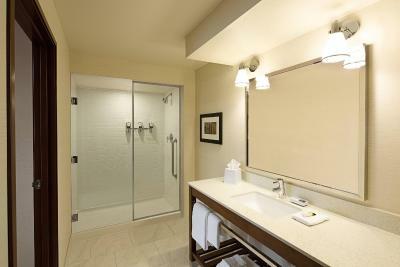 Lock in a great price for Four Points by Sheraton Downtown Seattle Center – rated 8.1 by recent guests! I enjoyed the four points and will stay again. I liked how you had to use your key to enter and how street parking felt safe. Room was awesome and location was perfect for access to anywhere in the city. Location, room, bed and pillows are very good, breakfast good albeit somewhat expensive. 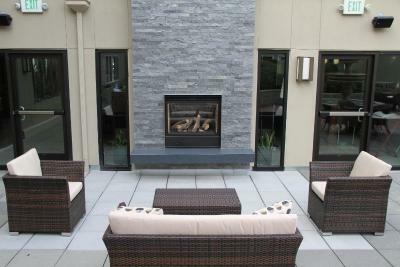 Location was excellent, lower Queens Anne bordering downtown and close to inside Elliott Bay. 5-10 minute drive from most locations, 10 minute walk from Seattle Center. Was clean. Location to the Space needle was in walking distance, that is why we picked it! Not in downtown Seattle , if that is your need this hotel is NOT recommended. We found the the location great for the Space needle but not well for everything else! The staff was friendly and gave excellent service. It was “ok” staff weren’t always the friendliest. Very quick and curt to respond. Coupons they gave for breakfast at hotel more than covered the costs of our average meal. Bathroom and bedroom for 3 persons were very modern and reasonable size. Exercise room was a plus. This hotel has a great location in Queen Anne, close to the Seattle Center, with many activities in walking distance. Also close to the Monorail that will bring you downtown, four blocks from Pike Place Market. Facility was very clean with a comfortable atmosphere. Four Points by Sheraton Downtown Seattle Center This rating is a reflection of how the property compares to the industry standard when it comes to price, facilities and services available. It's based on a self-evaluation by the property. Use this rating to help choose your stay! Steps from the Seattle Center arts and entertainment district and the famous Space Needle, this hotel in downtown Seattle, Washington has guest rooms with coffee makers and 42-inch flat-screen TVs. 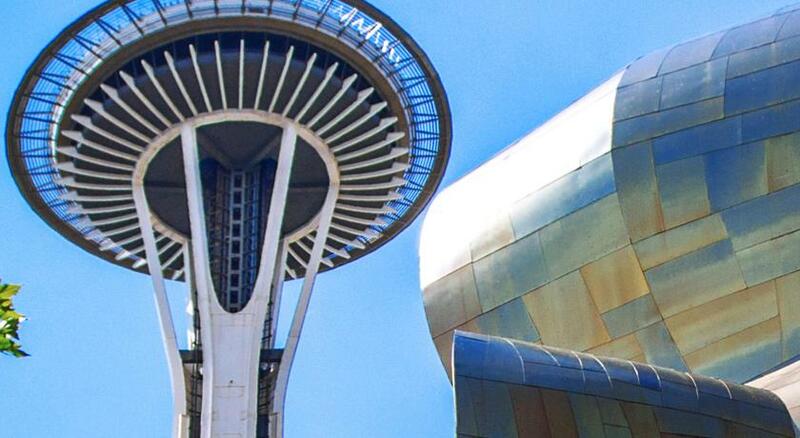 While staying at the Four Points by Sheraton Downtown Seattle Center, guests can enjoy easy access to attractions including the Pacific Science Center interactive museum. Guests can also explore the nearby Pike Place Market or see a concert at the KeyArena multipurpose venue. Queen Anne is a great choice for travelers interested in atmosphere, scenery and restaurants. When would you like to stay at Four Points by Sheraton Downtown Seattle Center? This double room features air conditioning, tea/coffee maker and tumble dryer. This double room has air conditioning, tumble dryer and tea/coffee maker. This double room features a tumble dryer, tea/coffee maker and air conditioning. This double room has a tumble dryer, tea/coffee maker and air conditioning. House Rules Four Points by Sheraton Downtown Seattle Center takes special requests – add in the next step! Four Points by Sheraton Downtown Seattle Center accepts these cards and reserves the right to temporarily hold an amount prior to arrival. Please note, the parking garage has a maximum clearance of 6.2 feet. I wish we would of been notified about the remodel it was my gf’s first time just wasn’t a good look. The rooms is clean and comfortable! It is a shame Booking.com did not advise of major renovations. The whole building is wrapped in plastic, work men everywhere nearly got taken out by one carrying a ladder. This hotel should not be operating while doing such major work. Very disappointed in Booking.com for not advising this was underway. It is a shame Booking.com did not advise of major renovations. The whole building is wrapped in plastic, work men everywhere nearly got taken out by one carrying a ladder. This hotel should not be operating while doing such major work. Very disappointed in Booking.com for not advising this was underway. Hotel was undergoing extensive renovation which we were not aware of. Hence on arrival , my family was told the room originally booked was not available - front desk manager gave us 2 side by side rooms instead and threw in breakfast as well which I appreciated. However, it would have been better if they had told us in advance about the room type being unavailable. The hotel was under massive construction as we arrived. Something I feel we should have been told about in advance. The place looked, sounded and smelled like a building site. The restaurant was massively overpriced for the poor quality of food. 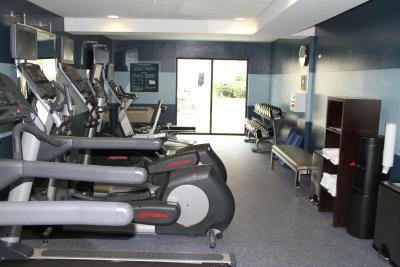 The property was in great walking distance from all of the main tourist attractions. The rooms were spacious and the shower was amazing! There was no notification that this hotel is currently under construction for renovations. Booked two rooms for 10 people. One was supposedly for 4 people and one for 6. In the end we received 2 rooms on different floors as the booking messed up. Both rooms were the same so we paid more for one for no reason. It was stated that breakfast for provided on booking.com so we figured maybe we were paying for the hotel. But no, only 2 breakfasts were provided per room which doesn’t even make sense since I specifically asked for accommodations for 10 people and we paid around $50usd more for the supposedly larger room which was not. It does Renovation right now. We cannot open windows and curtains. Someone just works outside windows. The current renovation. It wasn't a real big deal, there was just no mention of it when reservations were made and a surprise when first arriving. I found my pajamas in the floor one day. Only thing to complain. Everything else was good. Perfect location, nice bathroom, bed, complimentary water. They can receive products you buy online with no taxes.